MINQUADALE, Del. 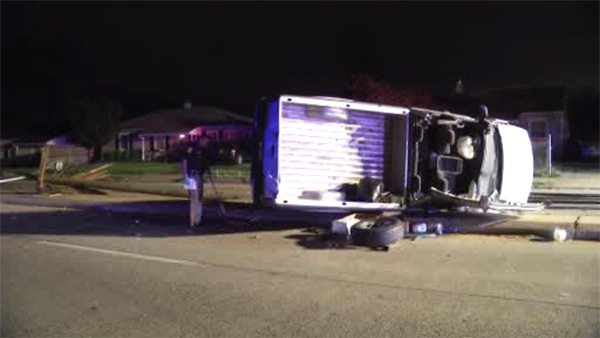 (WPVI) -- A man is injured after his pickup truck smashed into a utility pole in Minquadale, New Castle County. The crash happened before 8:30 p.m. Sunday along Memorial Drive and Bizarre Drive. Police say the driver lost control, and flipped the truck over before crashing into a utility pole. The man was taken to the hospital with multiple injuries. His female passenger was not hurt.